By registering with us, you can create your own account with a dashboard which will make managing your job search quicker and smoother. This is a quick runthrough of your dashboard that will explain certain areas and help you better manage the setup process. 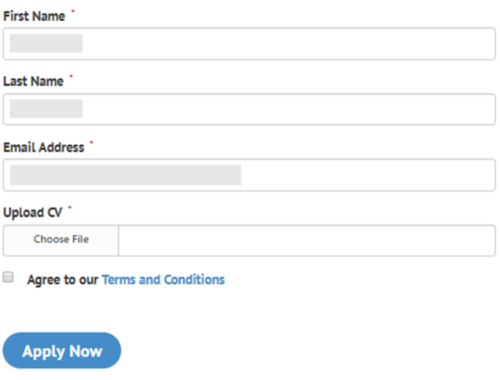 First, click the blue “Register with JAC” button. This will take you to the registration form. Please enter all necessary details—name, e-mail address, password and your most recent curriculum vitae (CV). After completing registration and creating the account, you can create job alerts which will automatically email you when a new job matches your needs. 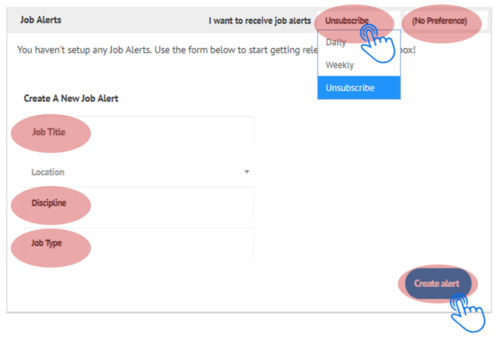 Select the frequency and language of job alerts you want to receive the alerts. Don’t forget to also select the “Job Title” you are interested in and the type of job. When you have entered all the fields, click on "Create alert" to receive information tailored to your job search. When a new job is uploaded by one of our Recruitment Consultants, you will receive an email immediately alerting you to the new position that is available. You will also be able to see job suggestions for you from the existing jobs list for positions that are available now. If you find one that interests you, you can check the details of the conditions and requirements just by clicking on the job. If you are interested and want to apply, click on “Apply" to start the application process. Your application will be reviewed by a JAC Recruitment Consultant (we are only able to contact shortlisted candidates for the position). The application form will allow you to update any information you might need to update, including your CV. Once this has been filled, click “Apply Now” to complete the application. Your job applications will be recorded in your dashboard under “My Applications”. ■ By registering with JAC Recruitment Malaysia you can receive job alerts and apply directly to positions through your dashboard. Register now to find your next perfect job.